Has Yahoo! Finally Hit Rock Bottom, with Horoscopes in its Science Feed? Jerry Coyne reports today that Yahoo!’s science news feed is reporting on astrology. Not that it’s Taurus excrement, but an article with the headline, “Tonight’s full moon and upcoming lunar eclipse are going to bring about some CHANGE” is full of astrological bull crap. Not only that, but the picture they use is of an annular solar eclipse. 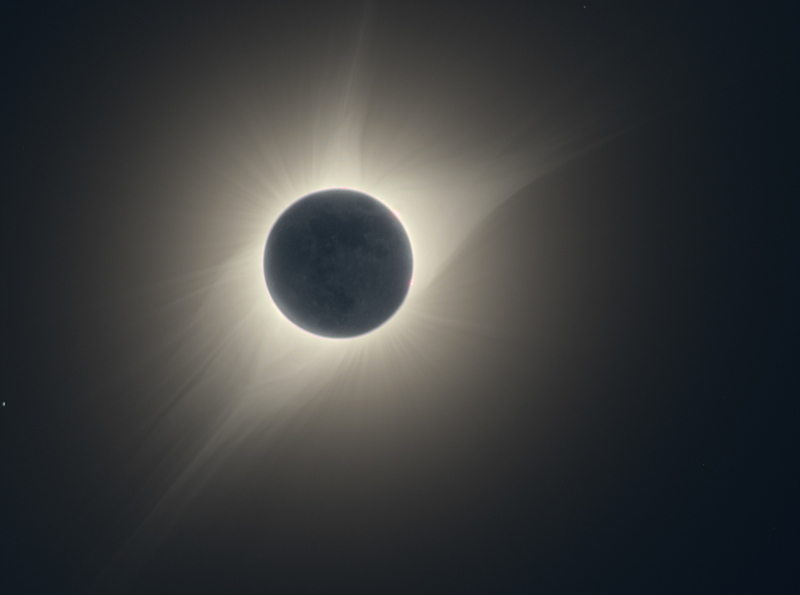 Notice that a “solar eclipse” does not equal a “lunar eclipse.” An annular solar eclipse is when the moon is near apogee (farthest point from Earth) so it appears smaller than the sun’s disk and therefore cannot completely cover it, leaving a ring of solar illumination around it. Not only that, but the “eclipse” this month is not a lunar eclipse at all, and the one next month is a penumbral eclipse — unless you have a camera and are very carefully looking at the brightness, you will not notice any change. Fortunately, the vast majority of the 250+ comments (as of the time of this writing) take Yahoo! to task over this. When I took AP English History in 1999-2000, we were required to have a subscription to either Newsweek or Time Magazine. When I worked in the public library during most of high school, I admired the large, full-page covers of Time and I considered it to be one of the premier news magazines of the, well, time. There are even books of its covers and what they represent of America’s and the world’s history. After I graduated high school and began to read news on a regular basis, Time and CNN were my primary news sources. But, the Age of the Internet and shifts in emphasis have, in my opinion, led to a significant decline in Time. From its shift of investigative journalism to columnist opinions, and from lengthy reports to quick, ~5-paragraph summaries, it’s a change, and not for the better. But worst of all, this kind of change allows for more credulous and – dare I say – pseudoscience reporting to masquerade as “news” under the still generally well-respective umbrella that is Time. Phil Plait beat me back in early October when he posted about Laura Stampler writing columns on astrology, but the latest is Charlotte Alter writing a completely credulous column that parrots Deepak Chopra. Two days in a row, on October 7 and 8, 2014, Time‘s Laura Stampler wrote two “interviews” she did with AstrologyZone’s Susan Miller. I place the word “interview” in quotes because it was the level of hard journalism that one might expect from talking to the television: Miller said what she wanted to say about astrology, and Stampler wrote it down. In fact, Miller says the change that the Oct. 8 lunar eclipse brings, although shocking at first, will even be good, at least according to the stars. To understand why, we asked her all the questions you’d want to ask a famous astrologer. “Eclipses are non-negotiable,” Miller says. “They end something and they brings something else. But it really needed to end… There’s a shock factor first, and then a solution that turns out to be so good that you realize, wait a minute, this is a blessing. Miller recalls when she had a houseguest who “spent the whole year crying on my couch,” coincidentally over the course of a series of five eclipses. On the first eclipse, her husband asked for a divorce. On the second, he told her that he wanted to sell the house. Come the third the house was sold, fourth the property was split, and on the final eclipse the divorce was finalized. Readers of my blog should know by this point that astrology carries zero weight with me or with any other scientist. It is magical thinking, confirmation bias, and vaguely worded nonsense that can apply to most people who hear it. It also uses science-babble (akin to techno-babble on something like Star Trek where they use sciencey-sounding terms and phrases in various combinations and contexts that render them meaningless). Having a major news source have any author posting about it in this kind of credulous “reporting” is worrying, among other adverbs. I haven’t really talked about Deepak Chopra on this blog before. That’s mostly because Chopra is primarily in the New Age “field” and tries to talk about medicine. And the nebulous concept of “consciousness.” His only real foray into astronomy or physics is to be a worse abuser of terms and concepts than astrologers, especially of anything “quantum.” I honestly simply haven’t considered him worth addressing on this blog. This is why there are websites that randomly generate “Chopraisms,” combining random words into phrases that sound a lot like what Chopra sells. I’m not sure if the poor grammar is in the original Chopra writing or if Charlotte did some bad copying. I’m also not sure how you would “put your attention in your hear.” But I guess I’m just a mean skeptical scientist. I don’t know if Ms. Alter is a good reporter or a stay-at-home occasional freelance writer who submits random blog posts to news sources in the hope of making a few bucks if they’re published. The same goes for Ms. Stampler. But, once you have a reputation as a good company in whatever your field may be, allowing stupidity to be done in your name is a sure way to ruin your reputation. I’m probably preaching to the choir here, though. Most of us know traditional media is dying, and they need to look for other ways of making revenue. However, I’m reminded of the Murphy Brown episode where the news crew of FYI decided to have “ladies of the night” on along with some concerned mothers’ group and it erupted into a cat fight. The crew felt like dirt after doing it, but then they saw that their ratings were the highest they had ever been. They excitedly talked about other, similar ideas and more controversy and spectacle … and then they had another moment of, “What the heck are we doing here? We used to be serious news people and now look at us.” The episode ended with them pondering the trade-off between serious journalism and sensationalism and easy ratings. I worry that Time is not that introspective. Podcast Episode 86: Was Mars Murdered? This is another classic-form episode. I state the claim, go through background info, and when you understand the background information, the claim falls away. It’s also just a tad over 30 minutes, returning to my roughly average length. I had to cut out extra parts this time because I’m a bit bogged down with work. I have about half a $million in grants due next Friday and I’m having a party the day after, so I’m a tad busy and also the next episode might be slightly delayed (like this). The most important announcement I made is that I’ll be interviewing Robin Canup on October 4 for the 89th episode on October 11. It will be about lunar formation and remaining problems and whether (as Bob Novella I think wrongly claimed) the “Big Splash” model is dead because of various mineral abundances in different locations. We’ll see what she says. If you want to have input on what she says – or more, what I ask – feel free to recommend questions for me to ask her. Please keep them very narrowly focused on lunar formation: She’s a very busy person and I don’t know how much of her time I’ll be able to take. Michael Horn, the Official North American Media Representative of alleged UFO-contactee Billy Meier, has attempted to send me various tasks and things to do, apparently failing to realize that I don’t work for him. I’ve pretty much ignored them as is my prerogative and for reasons I’ve explained in detail before. As you may imagine I receive some interesting information from various people, among them a couple of astrologers who seem to have been pretty accurate. So I’m copying you some fairly recent emails with content from them. You can of course feel free to examine it critically and see if the past info seems to be more than chance where it’s accurate and the foretold info/events should speak for themselves, one way or the other. P.S. When I have the time, I will post some interesting information pertaining to an email that I sent Stuart a while ago. In it I put information from a couple of astrologers who had gone on record with a number of specific things, and times they thought they would occur. It appears that they were…right. I notice that Stuart hadn’t put up a blog attacking these “silly” people, or whatever. Nor has he mentioned having checked them out and been confronted with their documented accuracy. Hmm. Unless I’ve been on some other planet the last two months, your astrologer doesn’t appear to be “right,” as you put it. Let’s actually review the predictions of Michael’s astrologers who were “right,” shall we? I think that this will be informative because it shows how I got about evaluating predictions. First, the “Reverend” part — his “Doctor of Divinity” is from the Universal Life Church, an organization whose Wikipedia page starts by saying, “The Universal Life Church (ULC) is a religious organization that offers anyone semi-immediate ordination as a ULC minister free of charge. The organization states that anyone can become a minister without having to go through the pre-ordination process required by other religious faiths.” He also has a degree in “Healing Sciences” from the Jesus of Nazareth Church International. The certificates are scanned in and posted on his website. Not meant as an ad hominem, simply putting this out there since he consistently refers to himself as a Reverend. 4. There are “turbulent times” around June-July and a “difficult astrology time” around the November presidential election in the USA. Analysis: WAY TOO VAGUE to be considered a hit or miss on any objective scale. As a predictor, this is useless. Perhaps more interesting, he claims that he was 100% accurate in his market prediction that it’s “a very accurate prediction and quite a significant prediction.” This is based on a newspaper article from the previous day that stated the stock markets were at all-time highs since 2008. So taking that newspaper article, sure, he’s correct. But let’s look at prediction 3 in greater detail, for which I’m using the Dow. The 10-year high for the Dow was October 12, 2007, at 14,093.08. The high in the year 2008 was May 2 at 13,058.20. 2008 ended at 8515.55, while the high in 2009 was at the end of the year at 10,328.89. Overall, the stock market has been improving ever since its low in early 2009, so the prediction that markets will go up on February 24, 2012, is not unlikely. In fact, February 22-24 was not even the high for February, which came on Feb. 28 at 13,005.12, whereas Feb. 22-24 the Dow was around 12,940-12,985. It did NOT reach the high from 2008 in February in end-of-day trading, though it got close. Nor was this a high in 2012, the high close was 13,610.15 on October 5, 2012, though the actual high was up to 13,661.87. Strictly speaking, he is correct, the markets did go up Feb. 24. But practically speaking, this was either (a) a high-probability hit that the market will go up on any given day, or (b) too vague for him to claim it was a hit with the specificity that he later did. Similarly, he claimed that prediction 1 was actually “a great probability — a great possibility of war … in January 9-15, 2012 window, which can be evidence AS AN ABSOLUTELY ACCURATE PREDICTION” by looking at an Israeli news source from January 14, 2012, that said the largest war exercises in US history would be conducted between the US and Israel around that time. Sorry, again, this is way too vague to be considered a hit. He also did not even mention Israel in the Dec. 30, 2011, video, but thought it would have to do with Assad … see prediction #2. In fact, I watched it again because I had actually missed this ’cause I lumped it in with his Assad prediction. And, the Assad prediction, #2, is a miss. He did not lose power in Feb-March 2012, and is still in power as I write this at the end of 2012. However, he claims that his Assad prediction was actually correct. So far, we have 4 predictions, 3 claimed hits. I say three are too vague to score, and one is a miss. Analysis: At best for the astrologer, this would be considered too vague, but under my scoring guidelines, I consider this a miss. Looking at 5-year gas prices in the US, we had a high in summer 2008 of $4.12/gal. In 2012, we had two peaks, one at $3.92 at the beginning of April — when his video was made, and a smaller peak in mid-September at about $3.87/gal. Other than the beginning and end of the year, gas prices were at a yearly low during the time period that he’s describing, June-July. Ergo, I consider this a miss. And yet, in his e-mails to Michael Horn, he quotes news articles from June 30 stating that there are some rising oil prices and some analysts thinking that they’ll go up. Problem for Michael Vanderpool is that they did not. These are all quotes from Michael’s e-mail to me on July 4, 2012. There were several different parts of it that I drew from to put these together. I included nearly everything written, with a few things left out that were preamble or more things simply too vague to judge. MISS — Obama won by less than he did the first time, hardly a landslide. PARTIAL HIT — One could consider the Israeli-Gaza conflict of November 2012 as the hit for this, but I consider it partial because (a) it was November and (b) Iran was not involved – at least not directly/obviously/admittedly. A sum total of 1 partial hit, 6 too vague to judge, and 11 misses for a hit rate of around 4% and a too vague rate of 33%. This is right in line with the others from my main 2012 Psychic Predictions post. With those all graded now, Michael, if you care to comment, feel free. But note that, as usual, I will block anything from you that is not SPECIFICALLY ABOUT THESE PREDICTIONS. No posting to your other stuff, no asking to look at other stuff, just comments about these predictions. Anything else will be blocked or edited out — you’ve posted enough stuff to your site that’s not related directly to the topic in other places on my blog. It’s been a long time since I wrote about “Terry Nazon World Famous Celebrity Astrologer.” I was bored last night when I should have been either weight lifting or going to bed, and I happened across her blog. I was scrolling through to see if there was any “real” astronomy in there and came across her, “Venus Retrograde The Anatomy of a Retrograde” post from May 15, 2012. In the past when I’ve written about Ms. Nazon, I’ve made minor points about her grammar. It’s atrocious. Seriously. Anyone who is a professional (as Ms. Nazon seems to be considering that she now charges $400 to talk with her per hour) should have better grammar than she. Throughout this post, I’m going to pick apart her three-paragraph “Venus Retrograde…” post. I’m going to be quoting verbatim a lot. Please keep in mind that these are copy-pastes and I’m not trying to make her look more ridiculous than she already is by altering her words. Literally, the term “retrograde” means “to go against” or “to go backwards.” Throughout the day, objects in the sky appear to move from East to West. Throughout the year, the stars seem to move just a bit faster than the sun. This means that, relative to the stars, the sun appears to travel from West to East over the course of many days. When planets also appear to move from West to East relative to the stars over many nights, they are traveling with the sun, and so are going “prograde.” When planets move from East to West relative to the stars over many nights, they are moving “retrograde” because it’s against the motion of the sun over many days/nights. The why of why planets will go from prograde to retrograde and back again after many months is a story that took thousands of years to figure out and was one of the main lines of evidence for heliocentrism and against geocentrism. I really don’t want to go too much into the “why this happens” part here as I think this is going to be a long post; instead, I’ll refer you to this short animation that I made that shows a line of observation from Earth, through Mars, projected onto the stars, and the path it draws. If you look at that, then keep in mind as a basic explanation, “It’s because we ‘catch up and pass’ a planet in its orbit,” it should make some sense. The first sentence is surprisingly correct with regards to when Venus returns to prograde motion. The second is generally correct with how often it switches, and I’m assuming that her term “transit” is an astrology term; it doesn’t mean anything astronomically considering that the next Venus transit across the sun isn’t until 2117. This is Nazon’s way of setting up for why retrogrades are important, and apparently that importance helps us to “pierce understand” them. So far, we’re still generally okay, though the English language has suffered a bit. Alright, this first sentence is true IF the object is moving at the same speed. Otherwise, all bets are off. An airplane 5 miles above me is going to move faster than the bird 20 feet above me. The second sentence makes absolutely no sense. No sense whatsoever. It seems as though she’s extrapolating a linear relationship that stuff moves far away so it moves slower, so if it moves really far it will eventually slow down and move backwards? Um, huh!? No. First off, “science” has never shown any influence whatsoever (astrology-wise) of other planets on Earth regardless of their position or movement in space. Since “science” has not done so, it also cannot show a difference between nothing and nothing for how that planet may be moving. As my animation example shows, Mars was moving prograde until its closest approach with Earth, at which point Earth “passed” it and Mars’ motion became retrograde. Earth was moving away from it for awhile and it was retrograde, and Earth continued to move away and it flipped to prograde. Not possible under Ms. Nazon’s misunderstanding. I interpret these three sentences as Ms. Nazon’s misunderstanding of what’s going on and using the general astronomy terms in a “word salad,” going into overdrive. Now, she is technically correct when she says that there would be a measurable redshift as the relative velocities between Earth and another planet increase. That difference is minuscule, however, and you get a bigger difference in redshift/blueshift light from opposite limbs of the sun (since the sun rotates, the limb coming towards us is slightly blueshifted, the limb going away is slightly redshifted). This is just astrology-speak mumbo jumbo. I have no other comment. That said, every object in the solar system radiates every color of light, by definition of how radiation works. Planets radiate more in the infrared because they’re cooler than the sun. Planets also reflect light, and a lot of that is in the visible. Venus’ cloud layers are mostly made of carbon dioxide (CO2). Being a molecule, carbon dioxide has a complicated emission/absorption spectrum, but it is heavy in the infrared (which is why it’s a greenhouse gas). What makes Venus appear yellow-whitish-orange is a sulfuric acid haze in the atmosphere. If Venus’ relative motion towards/away to/from Earth really caused it to have a significant red/blue shift, then everyone would notice this. ‘Cause, well, it would appear visibly redder or bluer. It doesn’t. I’m really amazed at how some very basic observations that “everybody” knows or can make somehow manage to get by a “World Famous Celebrity Astrologer” such as Ms. Nazon who charges $100 to talk with her for 15 minutes. And we end with more astrology stuff. I almost didn’t do a blog post about this, then I changed my mind. I haven’t ever really addressed the “word salad” idea with regards to pseudoscience claims on this blog, except perhaps with quantum mechanics. Ms. Nazon’s blog (and other writings) is a good example of this idea: Take some science-sounding words, add a heaping spoonful of new age, whisk vigorously until foamy, and then pour on baking sheet. Bake at 250°F for 15 minutes until half-done, then chop up and post your half-baked ideas online. Last year, in what rapidly became a very well-read post, I wrote about the “psychic” predictions for 2010 by the audience and pros from the Coast to Coast AM late-night radio program. After reviewing nearly 200 predictions, my conclusion was that the audience did no better than the pros, and that both did miserably. With a record number of Tweets and Facebook postings, how could I not do another analysis for 2011? I’m a bit behind, but I’ve finally compiled the audience and professional predictions for 2011 that were made on C2C and I have scored them, as well. So without further delay: The Predictions (PDF)! Please let me know if you find any mistakes in scoring, and I will correct them. If you enjoy this, please be sure to rate it (those stars at the top), leave feedback, and/or link to it from your portal, forum, social media, and/or wikis of choice! It’s the only way I know that it’s worth going through the many days’ of work to compile these. I was a bit stricter this year in terms of what I counted as a “hit.” For example, Major Ed Dames stated, “Buy gold and silver if you can … because those commodities will be worth something.” I counted that as a miss as opposed to too vague. True, gold closed roughly $150 higher at the end of 2011 than it opened. If he has simply said “Gold will be up by the end of the year,” I would give him a hit (if an obvious one). But he said both gold and silver, and silver went down by $2.50 over 2011. On the other hand, he simply said they “will be worth something.” I interpreted that to mean as they will go up. Otherwise, taken at strict face value, this is like saying “Bread is something you can eat.” It’s just a statement of fact. As with last year, I wrote down what predictions I could pull out of the professionals (more on that later). Many of them, however, were too vague or obvious – I considered – to be scorable. For example, Linda Shurman stated, “People are going to come out of their collective coma” because of the transit of Uranus in Pisces. I considered that too vague to be a hit or a miss. Similarly, Joseph Jacobs stated there would be rough times in Somalia. It does not take a claimed psychic to say there will be rough times in Somalia, so I did not score that. Every year, Art Bell would do the predictions show on December 30 and 31 for a “full” eight hours of predictions from the audience. He would have strict rules – one prediction per call, one call per year, nothing political rant-like, no soliciting, and Art numbered them. With Art having unofficially/officially retired (again) after the “Ghost to Ghost” 2010 show, Ian Punnett took over and, well, he wasn’t Art. He didn’t follow any of Art’s rules. This made the predictions a bit more annoying to figure out and write down, but I tried. Sometimes there were two per caller. In the end, I counted 114 distinct predictions. 6 of them were hits, 99 misses, and 9 were non-scorable as too vague, obvious, or not for 2011. That’s a hit rate of 5.7% (6/(114-9)≈0.057). Very impressively, that’s the same rate as I gave the audience in 2010, so, huzzah for consistency! 27. Synchronized walking will become very popular, such as in malls, with people walking in formation. 73. There will be a Christian worldwide movement that starts in the US around the time of the Super Bowl. They will force ABC/NBC/CBS/FOX to show Biblical stories. Yes, as a skeptic we always say “alleged” psychic or whatever. I’ve done that enough in the intro and we’ll just go with their titles. Pages 14-25 of the predictions document list the different people that C2C had on for 2011 predictions. I’ll state that, like the audience ones, these predictions were not as easy to record this year as they were for 2010. Instead of having the first few days of 2011 be devoted to several of these people, George had them scattered throughout the month of January and then did another set in July with three people. So, I recorded what I could. All in all, they made a total of 64 predictions. I counted one hit, 38 misses, and fully 25 that were too vague or obvious to grant a hit or miss to. That’s a hit rate of 2.6% (Joseph Jacobs got the one hit by saying perhaps the obvious “I see maybe a temporary measure as far as lifting the debt ceiling”). That’s somewhat worse than 2010, when I gave them a combined (if generous) hit rate of 11.5%, for getting 6 correct out of 53. Major Ed Dames: We’re right at the cusp of a global flu pandemic that WILL happen in 2011. Starfire Tor: Earthquakes continuing to accelerate due to the time shifts and time wars. Maureen Hancock: “Decent relief” from high gas prices. “I see it coming down to at least a buck a gallon by November” in New England. I brought this up last year, but it definitely bears repeating this year. The audience made 114 predictions and 9 (8%) of them were too vague or obvious to score. The pros made 64, and 25 (39%) of them were too vague or obvious to score. Audience: We’ll see “a Clinton” for VP this year. Professional: There will be new manufacturing ideas here in the US, opening doors for the unemployed. Audience: A private research company without federal funding will start to clone people for organ harvesting. See? This is also why they can stay in business. I’m fairly strict in my scoring. Someone who paid an alleged psychic $25 for a reading, remembering what the psychic said two weeks later, will be very likely to easily retrodict what the psychic said into a “hit” rather than a miss. Take John Hogue’s, “Get ready for mother nature to be on the warpath.” I said that’s too vague to score. Let’s say he said that a month before Hurricane Irene hit New York in 2011. Most would count that as a “hit,” and they would not put it in context of Irene being only a Category 3, only doing $10 billion in damage, and Hogue not stating that the year of Hurricane Katrina when it’s much more apt. No, this is not a rant, and I apologize if it comes off as one. I’m trying to point out why these people are still in business when they are no better than, sometimes worse than, and frequently more vague than the average person making a prediction. And with that in mind, let’s see … Joseph Jacobs charges $90 for 30 minutes, $150 per hour for readings. Maureen Hancock has her own TV show. Ed Dames sells kits on remote viewing, and most of these people sell books and other things. Maybe I should start selling my scoring of their predictions. To continue from the above before transitioning back to the “fun,” yes, there is a substantial “where’s the harm” issue whenever we give these alleged soothsayers the power to make decisions for us based on vague statements. I point that out because it’s important. But I also want to get back to this because I think they’re funny. I posted on Facebook a few nights ago, “Is it wrong for me to take distinct delight when alleged ‘psychics’ who are well known get things incredibly wrong?” I enjoy shaking my head at all these people being shown to be the shams they are. And I enjoy the, well, I’ll just say “out there” predictions that make it through. Obama being a reptilian? Whales and dolphins being considered “people”? (Don’t get me wrong, I don’t like whaling and dolphining, etc., but let’s not go crazy.) When you hear some of these, you just have to roll your eyes. And hopefully when you hear some of these that don’t sound quite as crazy, you’ll pay attention to and notice some of the tricks of the trade, and not spend your hard-earned money on something you could come up with on your own. P.S. I realize that WordPress has a habit of adding Google Ads to posts for those who are not ‘pressers and due to the content of this post, most of the ads are probably for psychic or astrologic readings. I’m looking into the potentiality of migrating my blog to my own server so I won’t have to deal with all of that, but I’m afraid of losing Google rankings and all the link backs that I’ve established over the past ~3.5 years. If someone is knowledgable in how to preserve all those with redirects, etc., please get in contact with me. P.P.S. Looking forward to 2012, if anyone has found a psychic/numerologist/astrologer/medium/whatever who has put out specific predictions, I’d like to extend beyond C2C for my tallies. Let me know in the comments or by e-mail of these and I’ll look into them.